When the days get shorter and the mornings get colder you know that moody little winter is about to come and rain on your parade. (get it?!) What better way to pull yourself out of winter depression than to make yourself a nice dress. Take that winter! Introducing the Winter Street Dress by Deepika, the seamstress behind PatternReview.com. When Deepika asked if I'd like to be a pattern tester for this new bad boy I was both thrilled and a little scared. I'd had such success with my recent first ever knit project where I made two awesome tops. But how would I go making a whole dress in stretch? I need not have worried because this pattern was easy, fast and looks good too. Hooray! It's the Winter Street Dress Pattern. I cut bodice in a size 6, the waist a size 4 and the skirt a size 8. 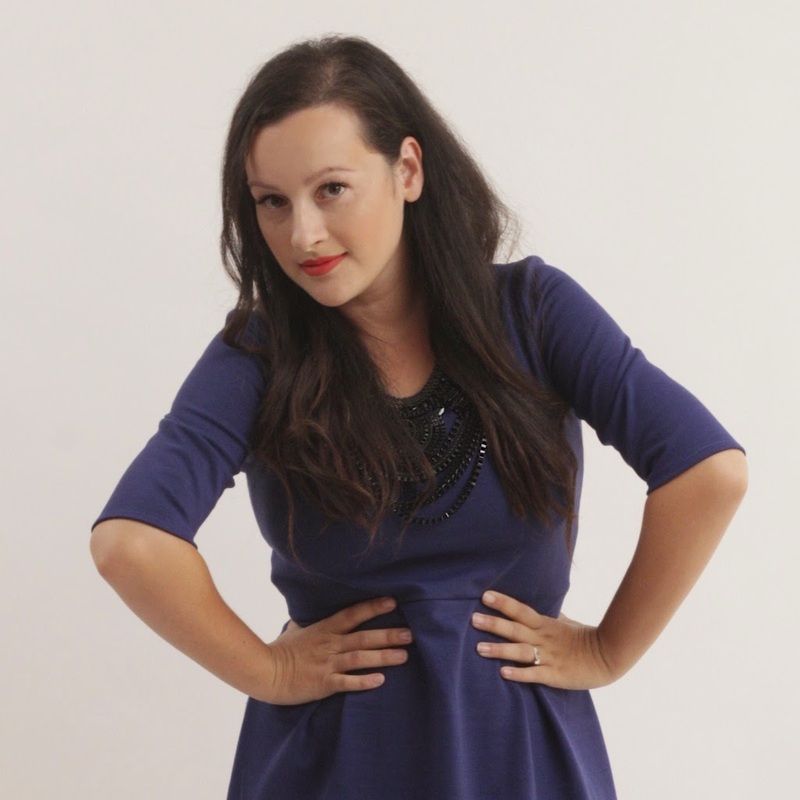 The dress is sewn with knit/stretch fabrics, unlined and notion free (celebrate!!) The bodice is made for a C cup. I used a heavy weight ponte knit in a perfect navy blue. I cut the sleeves at the required length for the frill variation but just didn't add the frill. I really like the sleeves this length. I accidentally attached the neck binding as a facing rather than a border along the neck, but it still looks good and I might even prefer it this way! If I make this again I will lengthen the bodice as it sits above my natural waist. I'm pretty short in the torso too, so if you have a long bodice definitely add length. Have you spotted it yet? I accidentally sewed the hem on the freaking outside. I would have made a few sailors blush by my outbursts when I realised my mistake. This has since been fixed, but not in time for the photos. Lesson: Drink more coffee. 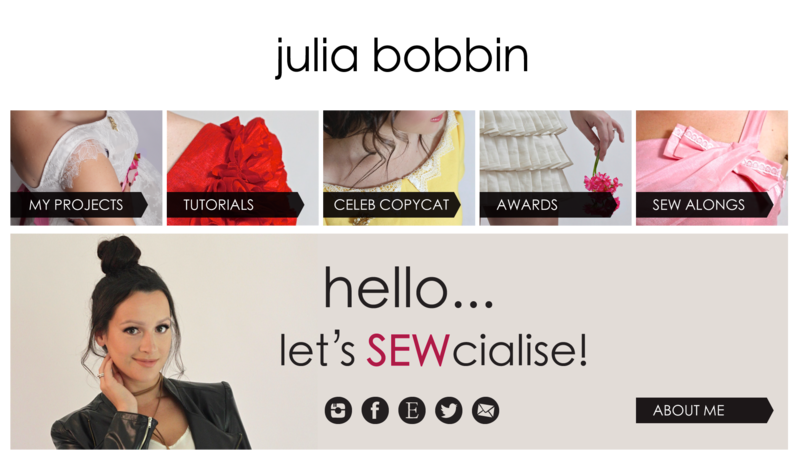 I am so loving this breezy world of stretch sewing! I love how there is no gather at the sleeve heads, and I love the simple but flattering shape of this dress. 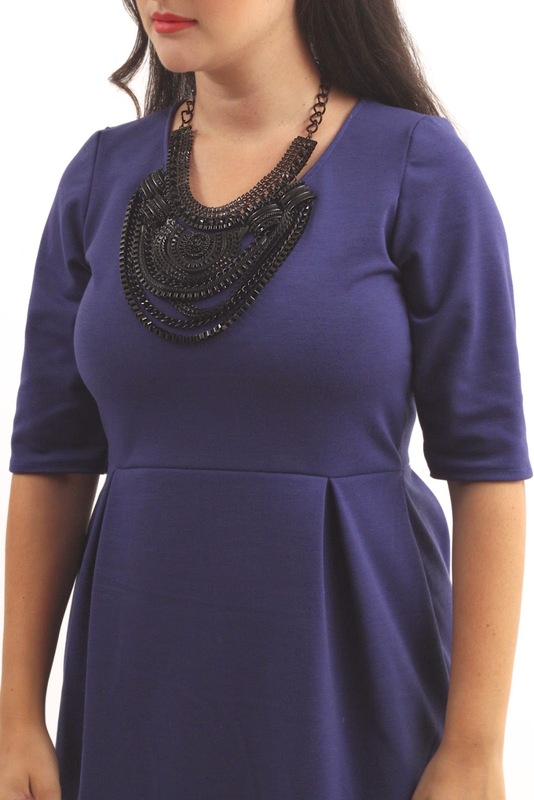 It is such a comfortable dress to throw on and would be perfect for work or on the weekend. Thanks Deepika for a fabulous pattern! Gorgeous! Love the colour and the style. Looks like a fabulous winter dress. I love a good ponte knit. Love it. I think purple is perfect for winter. It adds a bit of warmth to all the grey and blah. :-) Here we are heading towards Spring (you wouldn't tell today, the grey and blah are kind of persistent), but I guess this dress could easily be spring-a-fied, don't you agree? Just with another colour, maybe. Although I do have to say the purple looks fabulous! It looks so comfy, love that necklace! wow! I am very tempted to try this out! It allmost looks like a mix of the Lola dress and the Lady Skater Dress. Both very nice! I love sewing whit knits, Infact, sewing whit cotton scares the crap out of me. Infact, I never do it..... This dress looks very nice on you:D thanks for sharing! I was waiting to see your version before I committed to purchasing the pattern... You didn't disappoint! Love the colour on you as well. BTW, where did you get your fabric from? DRESSES & MORE DRESSES...I am looking forward to making the summer designs & bare feet in sandals! Looks great on you, Julia! I can't say that I'm upset your headed for winter because that means summertime is on its way here. Wahoo! It looks great and comfy at the same time! That is absolutely adorable! I wouldn't naturally think of that shape of skirt with a knit, but it works so well. Beautiful shade of blue on you, too. Love it! So cute! That deep hem is perfection! Ohhhhhhhh, I looooooove it, and I want it! Any word on when this pattern might be available for purchase? I also like the hem "design feature"! Beautiful! I love the colour of your fabric too. Totally agree with the other comments on that the colour this dress looks so lovely on you! It's beautiful! If you can't live with the hem maybe you can find a trim. The hem on the outside made me smile :) Julia you really are a rockstar. Is there anything which doesn't look gorgeous on you? And that signature red lipstick is just perfect with this dark purple ponte dress. Glad you liked the pattern.